The Libertarian Party of Florida had a working LPF Executive Committee retreat discussing the future of our LP Florida and it's future growth. Our LPF Chairman came up from Manatee County to share with us all the great news of growth and the future direction of the LP Florida at the December LPHC meeting in Tampa. 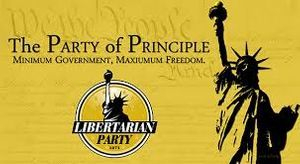 Do you want an audio overview of LP Federal Policy, then listen to this Excellent Q&A Interview with Carla Howell, Political Director on staff at Libertarian National Committee with Barry Armstrong, of the AM 860 Financial Exchange out of Boston.